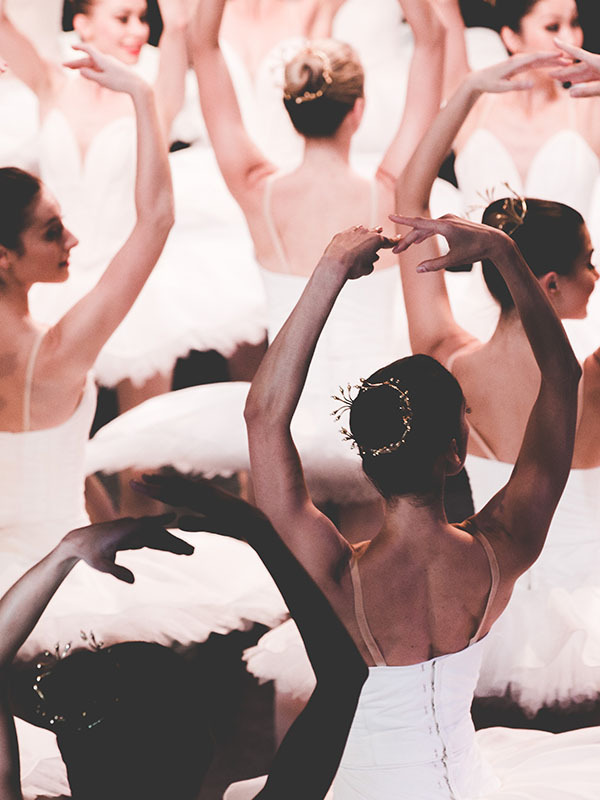 What's your fancy - a white-tutu ballet with sassy accents? Contemporary ballet with a killer fashion centrepiece? Achingly emotional modern dance? Or the tonic of a gala divertissement? If you answered "all of them", you're in luck - Symphony in C, following its sell-out Sydney-exclusive season, is coming to Melbourne in 2017. Here are five reasons to sample this luscious tasting plate. George Balanchine's Symphony in C, set to the lively Bizet music of the same name, is classical dance that rockets along with a purely modern speed, interspersed with a slow, lyrical movement that recalls the melting moments of great classics like Swan Lake. Balanchine inflects the ballet vocabulary with extreme or off-set movement, as when he invites the ballerina to take the deep arabesque penché even deeper, almost touching her knee. Balanchine gives his ballet a dramatic finish that reminds us of his days working in Hollywood and on Broadway, filling the stage with his white-tutu'd ballerinas and their black-garbed cavaliers, and sending them into striking passages of movement performed in unison. Ta-da! Richard House, a dancer from our company, shares Balanchine's penchant for the dramatic moment. His newest work From Silence opens with a ballerina moving sinuously in a runway-worthy red dress, then unfolds as a pair of pas de deux exploring the start and demise of love to Michael Nyman's atmospheric music. Alice Topp, also one of our company dancers, is one of Australia's leading emerging choreographers, crafting work not only for the stage but for musicians like Ben Folds and Megan Washington. Little Atlas, created for the Symphony in C program, explores the force of memory through the powerful energy running between three dancers. Jon Buswell's stark ring of lights descends like revelation and tilts like perspective as the dancers live and relive their relationships. Who doesn't love a gala divertissement? Classical technique gets its ultimate work-out as the male and female dancer perform demanding solos and combine their powers in pas de deux and coda. Filled with joy and élan, our program of party pieces will bring champagne fizz to the mixed bill. Symphony in C arrives this 24 August at Arts Centre Melbourne.